Peace of Mind - Security lighting provides an essential level of protection for residential and commercial buildings alike. JP's Best Electric has been installing security and motion lights since 1986, helping homeowners and businesses protect property and provide a safe atmosphere inside and out. Experienced staff ensure the lighting offers adequate coverage and is installed according to local building codes. Working with professionals for your security lighting needs delivers optimum benefits and improved peace of mind. Top Quality Brands - The lighting industry offers a broad range of products in varying levels of quality. JP's Best Electric works with the leading brands and manufacturers, offering their clients excellent security lighting products. For initial installation or lighting repairs and maintenance, JP's Best Electric partners with the best in the business to provide local homeowners and business owners with top notch service and materials. 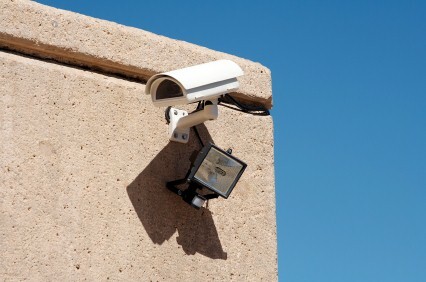 Competitive Prices - Upgrading or maintaining the security lighting on your property can become costly. JP's Best Electric offers quality products at competitive prices, whether you need a single fixture or an entire system. The trained staff at JP's Best Electric also services all brands of security lighting and works with alarm systems in both residential and commercial settings. Ensure your home or commercial building is well lit at any time of the day with the help of JP's Best Electric. Security and safety are essential to every property. For peace of mind and quality security lighting products at competitive prices, call JP's Best Electric at (315) 465-0395 today and arrange for a free quote.